This light silver is one of our most popular colors and is perfect for natural gray hair, the gray hair trend, and for blondes who want some contrast. Finally, there's a hair tie that won't rip, pull, snag or damage your hair available in colors that match your hair color! Cyndibands, the ultimate ouchless hair tie, presents the Match Your Hair Color Collection, available in 13 shades that help you blend your up 'do style seamlessly with your unique hair color. Whether you want to wear it in a ponytail, bun, or even in braids, you can count on Cyndibands to keep your style strong, sassy and stylish like you without ever faltering. 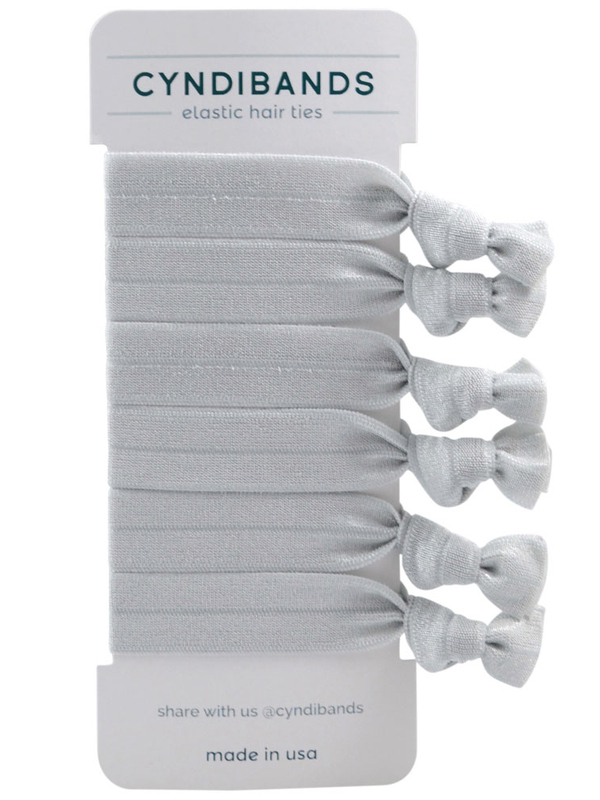 Plus, let your hair down without that telltale dent and wear Cyndibands on your wrist for an adorable accessory.